Efforts to resolve outstanding issues in a trade arrangement with the UK following Brexit have not been concluded, Trade and Industry Minister Rob Davies said. The minister briefed media on Monday following an inter-ministerial committee meeting between members of the Southern African Customs Union, Mozambique, and the UK on Friday. The meeting was co-chaired by Botswana's Minister of Investment, Trade and Industry Bogolo Kenewendo and UK Minister for Trade Policy of the Department of International Trade George Hollingberry. 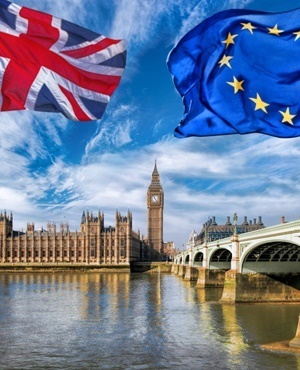 It was held to finalise two outstanding issues related to a trade agreement which the parties want to roll over to ensure trade continues as the UK makes its transition out of the European Union (EU). Davies explained it is important to reach agreement on a trade arrangement with the UK, otherwise trading partners would have to revert to the tariff schedules of the World Trade Organisation (WTO), which are less favourable than the current agreement – the Southern African Development Community and EU Economic Partnership Agreement (SADC-EU EPA). Failing to reach an arrangement means the SA government will not have time to submit an agreement for Parliament to ratify before the house rises this week, Davies said. "If the UK were to crash out and start trade on WTO terms, exporters would pay duties they do not pay now, and would have difficulties in getting products out," he said. "[These] things are not our making … we need to find the best way to navigate through circumstances not created by us." The UK somehow manages to get through a withdrawal agreement with the EU. So far the UK Parliament has rejected Prime Minister Theresa May's agreement twice. The UK Parliament will have another vote on the withdrawal agreement on Tuesday. "If by the third time Mrs May is lucky and they get it through - then on March 29 Britain leaves the EU but all the trade arrangements including those with third parties, will be in place until the end of 2020," Davies explained. During this time, the UK will negotiate a trade arrangement with the EU, and SA will have time to work out our own options for trade with the UK, he added. If the EU approves a three-month extension, this means instead of the UK leaving at the end of March, the UK will leave at the end of June, Davies said. "That gives us (SA) time to continue to negotiate this particular bilateral arrangement that we have been negotiating with them and it could go through our [sixth] Parliament," he added. The UK Parliament has voted not to leave the EU without a withdrawal agreement. But if in the event there is no withdrawal agreement by the end of June, SA will still have enough time to get its trade arrangement in place with the UK. If the UK does indeed leave with a withdrawal agreement by the end of June, this could push out the withdrawal three months after 2020, he added. The worst-case scenario is if the UK cannot persuade the EU to give it an extension, and being forced to leave without a withdrawal agreement, Davies said. "Then they crash out," he said. In this case, a 12-month tariff schedule for trade between the UK and its trade partners will apply. This tariff schedule presents difficulties for the auto industry which would have high tariffs, Davies said. But other product lines such as wine and agricultural products like fruits would benefit from being duty free. "Most of our vegetable-based exports would go in (to the UK) duty free, our oranges, fruits and wines. There would be no interruption in our exports to the UK in those areas." He explained meat exports and sugar exports would be affected as they would be subject to sanitary and phytosanitary measures and duties, respectively. "We would trade better off with the UK if we had an agreement in place, that is the point," Davies said.